Up until 2006, it was in the building codes that these areas be vented to the outside. This was changed and for good reason, since these “vents are just open windows to the outside, it allowed cold or hot air a straight path right into the house. Today, we completely seal and insulate this space from the outdoors. The first step is to seal and insulate the rim joists. 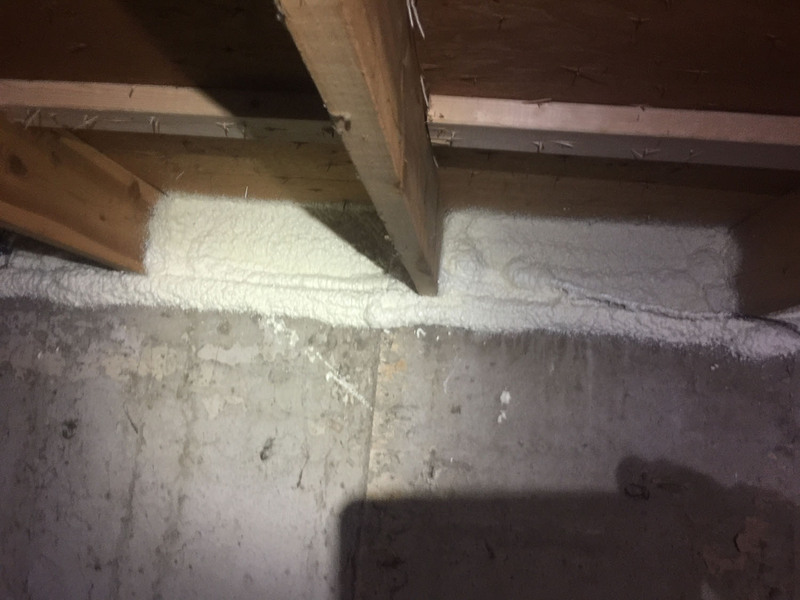 Typically, the best approach is to apply a very low VOC @ Part Closed Cell Spray Foam. 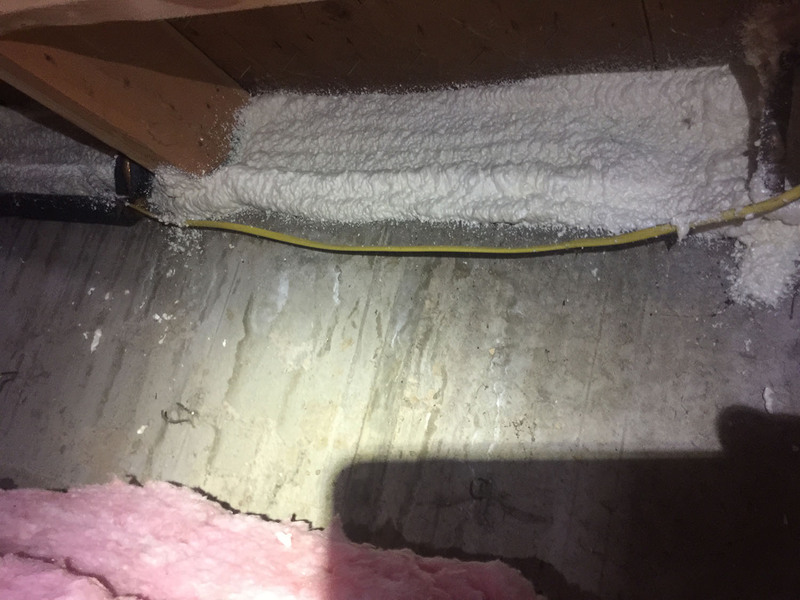 This seals the connections between the foundation wall and rim joists air tight. Then a R19 fiberglass batt is added as an ignition barrier and to provide additional insulating value. The rim joists assembly is now air tight and insulated to a total of R25 minimum. 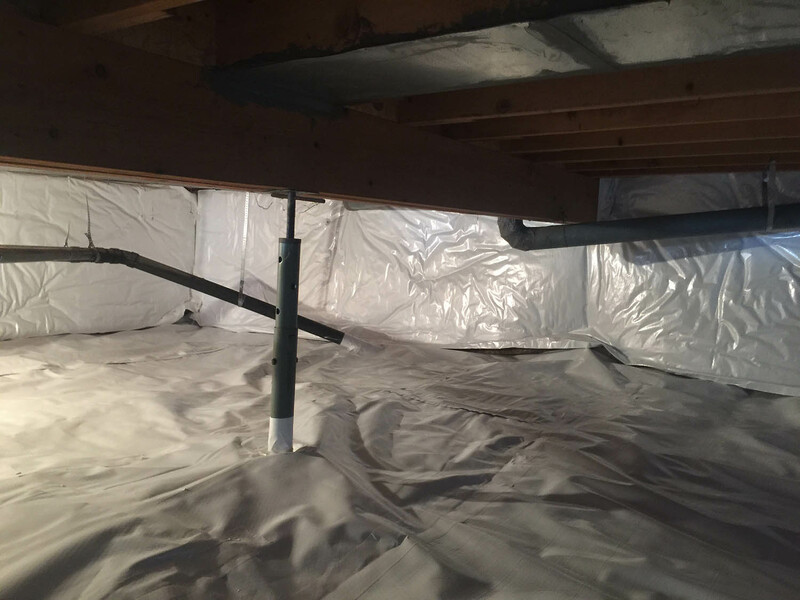 The second step is laying out a vapor barrier over the ground. 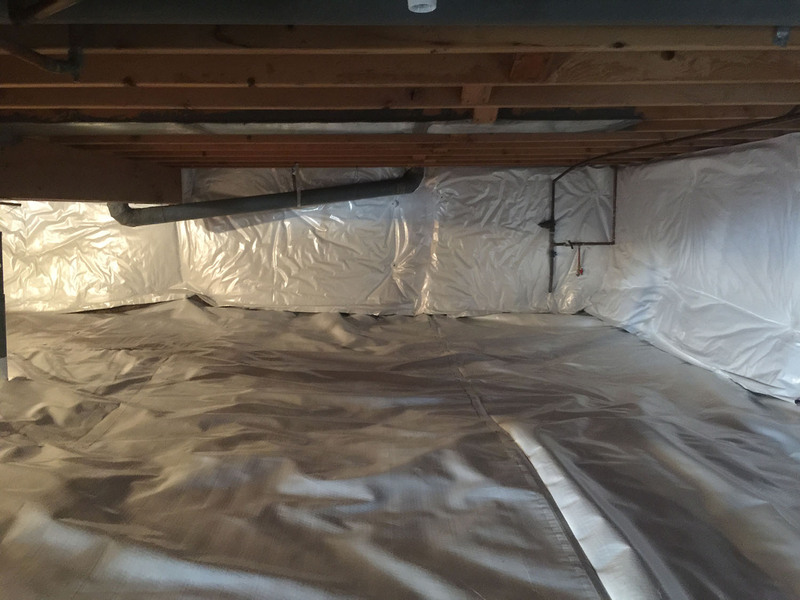 This vapor barrier keeps moisture and contaminants from migrating up into the house preventing mold, mildew and improving indoor air quality. It is completely sealed to the perimeter foundation walls and all penetrations coming up through the ground such as sanitary pipes etc. 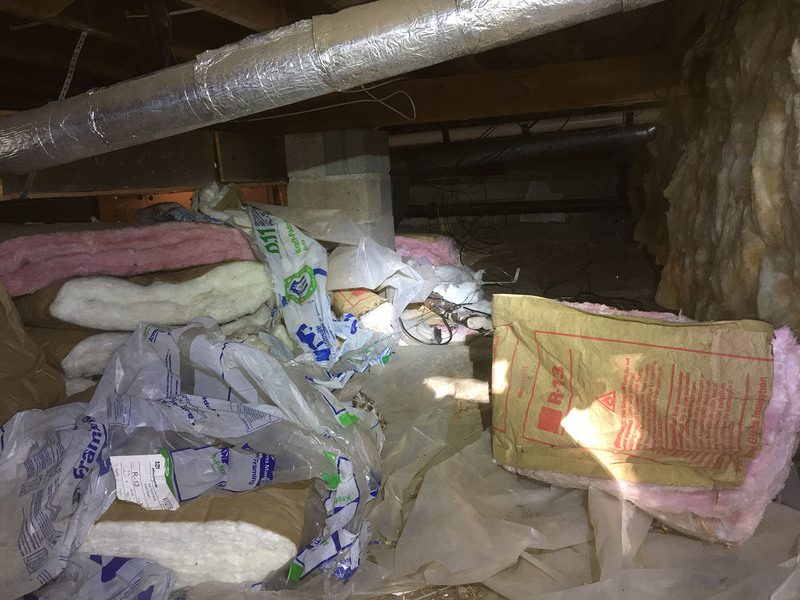 BEWARE: Some contractors (term used loosely) will simply grab a roll of poly-sheeting from a home center. This very thin, less than 3 mils, plastic is not allowed in this application. It is made from recycled material and has millions of microscopic holes in it. Even though we try and use recycled products when possible, this is not the place. We typically use a 12mil reinforced “Scrim” that is specifically designed for this application. It is very durable and impossible to tear dur to the nylon weave inside of it. Ironically, this material is inexpensive and costs about $100 more than poly-sheeting in an average size crawl space. It is also white in color which makes identifying problems like plumbing leaks very easy. The last step is to apply insulation to the foundation walls. The most popular method is with a faced fiberglass blanket. When installed properly, it does a fantastic job at insulating the walls at a minimum cost per sq. ft. There are two types of “faced” blankets. One type is called a “diaper” blanket because it has a vinyl facing exactly like a baby’s diaper. We are not fans of this type. The vinyl rips and tears very easily and breaks down over time. The second type of fiberglass facing has a trilaminate facing applied. Like the vapor barrier, it also has a nylon webbing laminated into it. It looks like packing tape. This makes it very strong and pretty much impossible to tear. 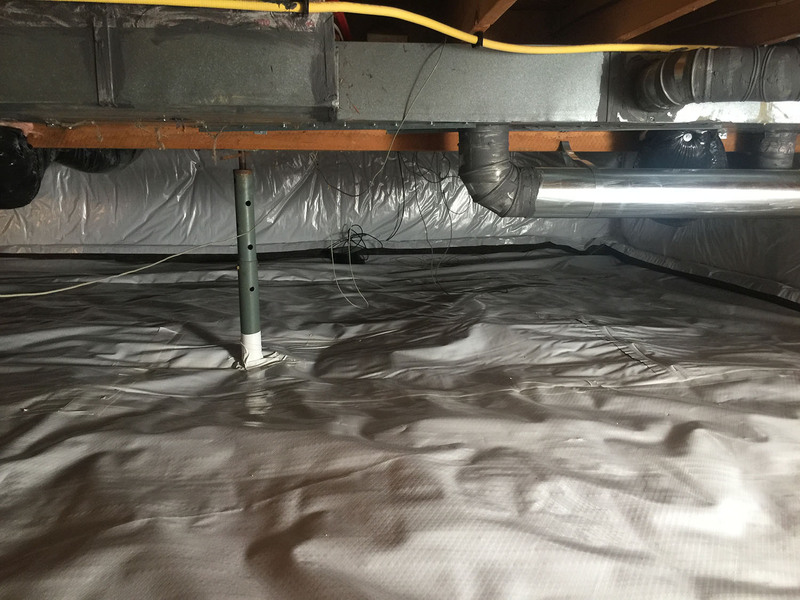 This blanket is installed with 6” Ramset fasteners into the foundation wall. The 6” spacer keeps from compressing the blanket and reducing the R value. A second method to insulating the foundations walls is by applying 3-4” of 2 part closed cell spray foam. 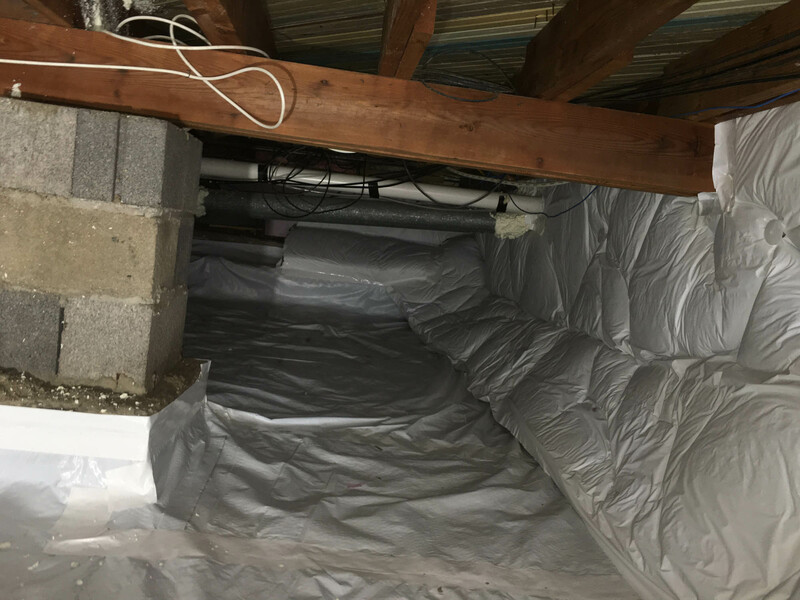 It is more costly, but also does a fantastic job at insulating the space.